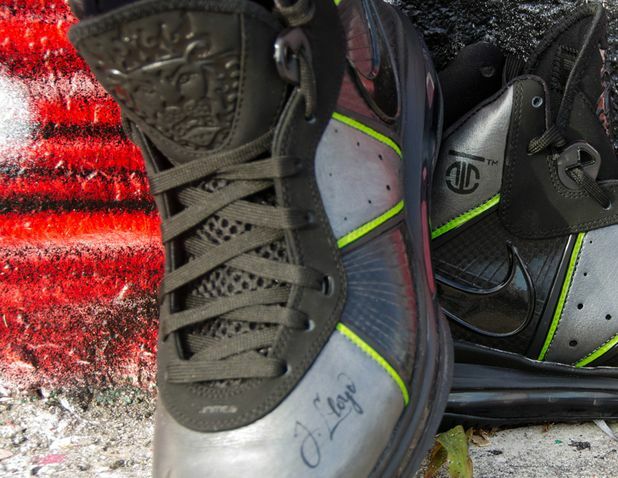 Sneaker customizer ROM created another Nike Lebron 8 masterpiece, inspired by the cover of Miami Rapper J. LLoyd’s newest mixtape. 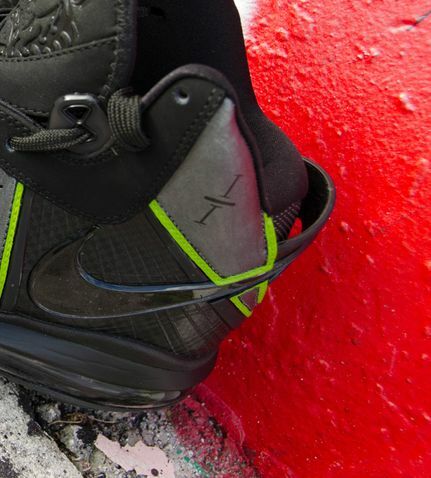 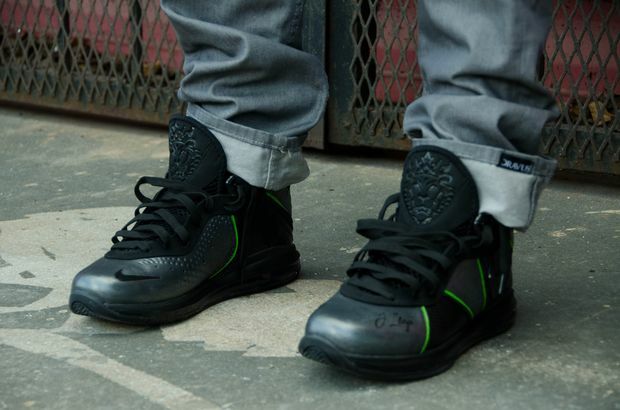 This Lebron 8 displays a Black and Gun Metal Upper with lime green lining on the side panels, that is reminiscent of the 112 Lebron 8. 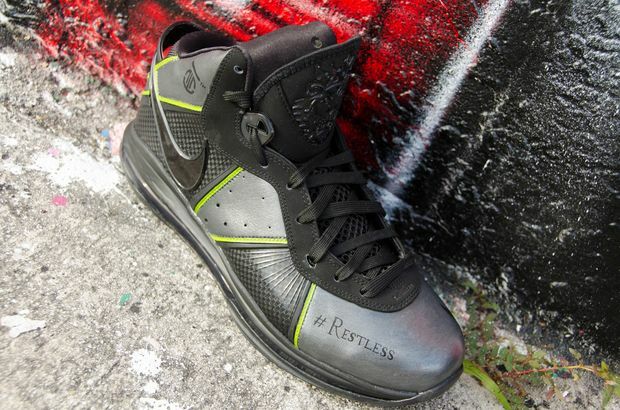 Check out detailed photos of the Nike Lebron 8 #Restless by ROM after the jump!